This hair has not been mixed or dyed in any way (unprocessed), so it retains its natural features. Cuticles intact, hair has been drawn from the root ends, retains natural colour as collected from the donor.100% virgin human hair. 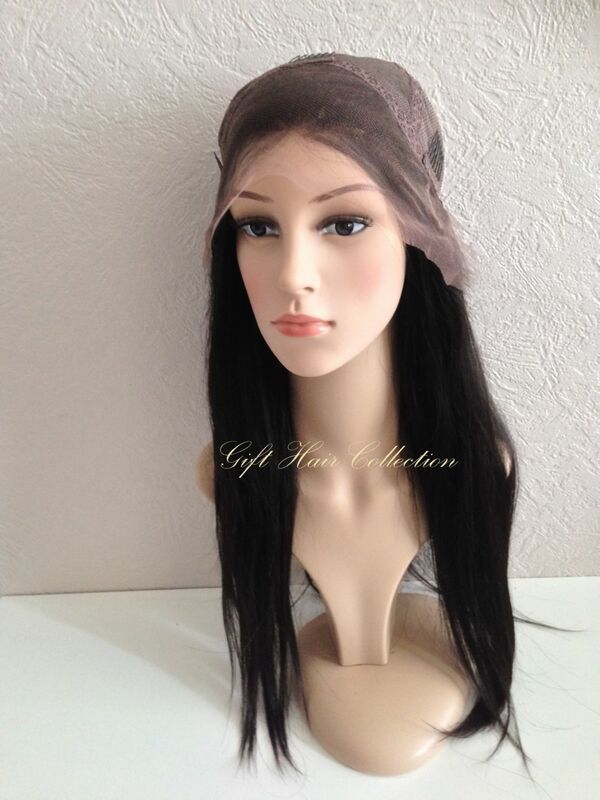 This listing is for full glueless lace wig. Available in stock from length 14- 20 inches. Prices varies by length. 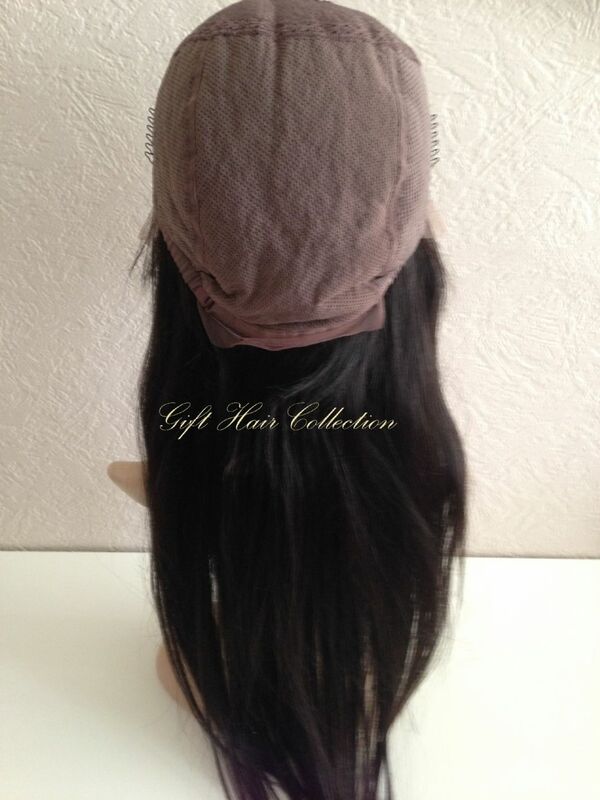 This wig can be worn with or without Glue. Click here for lace glue. This wig is made up of 100% Swiss lace. 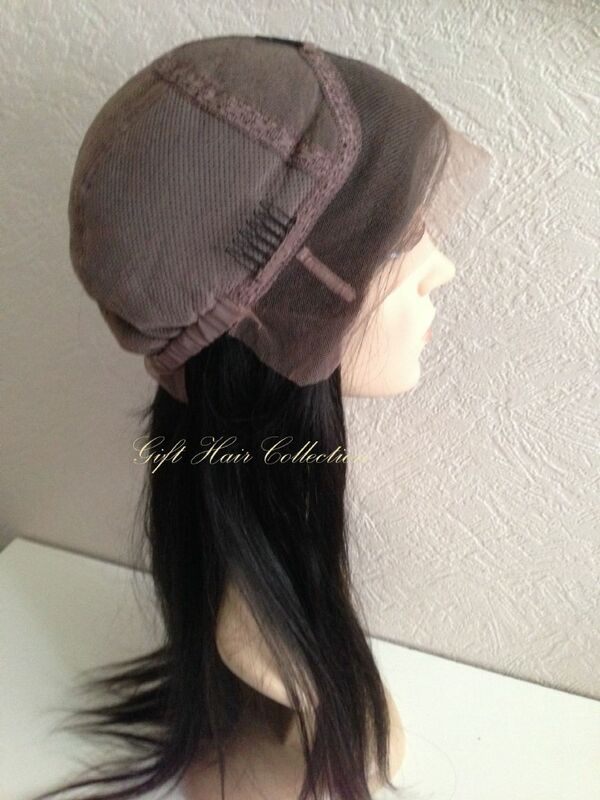 Hair has been knotted with Baby Hairs around the entire part of the wig for a natural look. 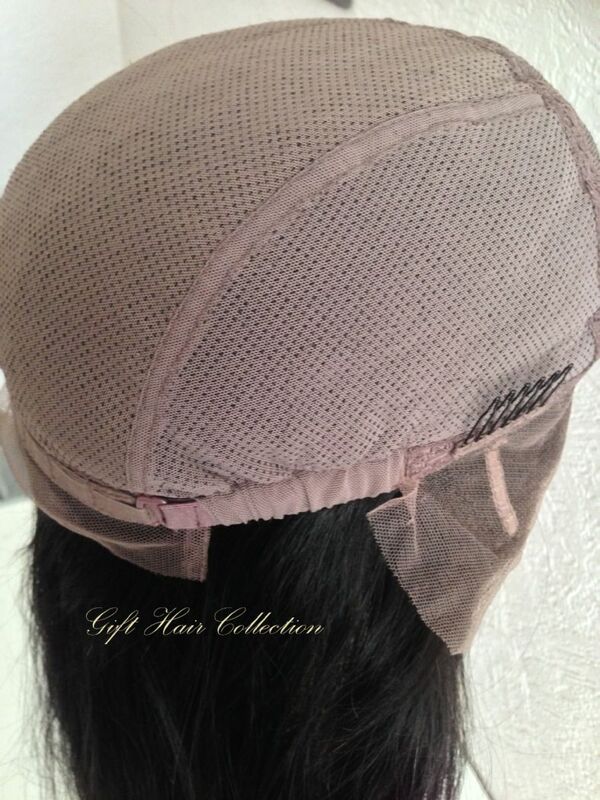 The hair has been hand knotted professionally for quality with single knots at the front, double throughout the rest of the cap to ensure durability. Ventilation: This wig has been ventilated freestyle. That is, the hair can be combed in any direction. The wig may appear with a center, or side part, when styled for photography. However, the part is not permanent.